In the late 1950s, the city of Augusta undertook a comprehensive program to accommodate rapidly rising numbers of school-age children of the postwar baby boom. 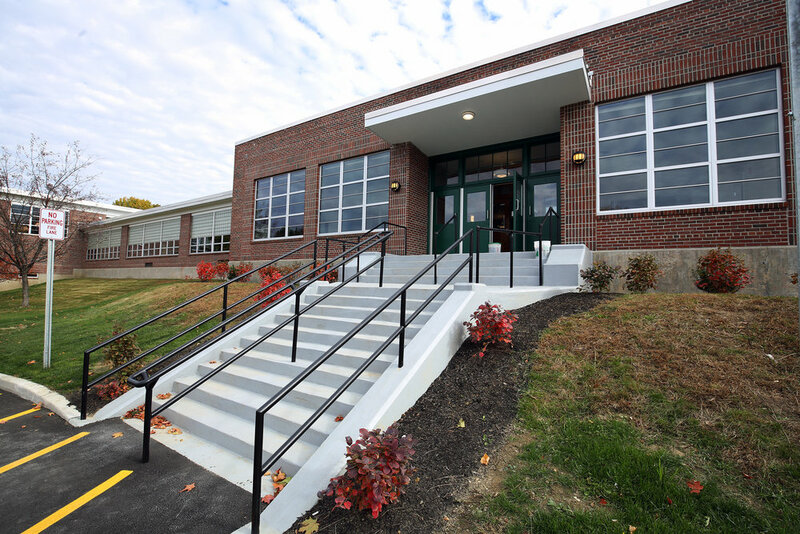 The Ella R. Hodgkins Intermediate School was constructed as part of this effort, and is a largely intact example of a building intended to utilize the newest and most up-to-date principles of postwar design and construction. 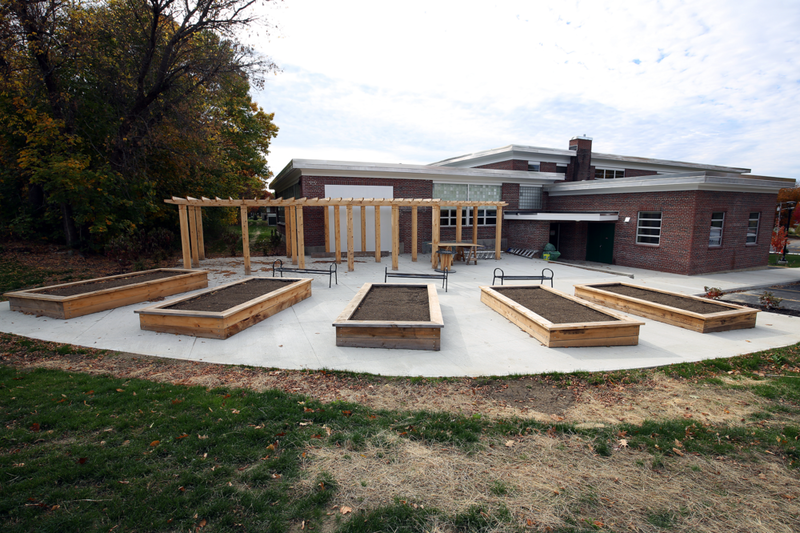 After 50 years of service, Hodgkins was closed at the end of the 2009 school year. While the sports fields remained active, the building stood empty—a neglected landmark subject to vandalism and ongoing damage to the skylights and glass block of the rear facade. Although the Augusta Housing Authority did not traditionally involve itself directly in property management, the Hodgkins School offered a special opportunity to fill an urgent need for affordable senior housing, while saving a sound and locally significant building threatened with demolition. A partnership with the Developers Collaborative and a long-term lease from the City of Augusta made the project possible. 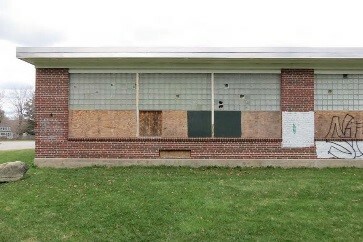 The signature glass block that distinguishes Hodgkins School inspired considerable dialogue between AHA, the State Historic Preservation Office, and the National Park Service. Because damaged portions could not readily be repaired, and relatively few structures containing this type of block had been reviewed by NPS, it was clear that the decisions would set a precedent for other mid-century structures. 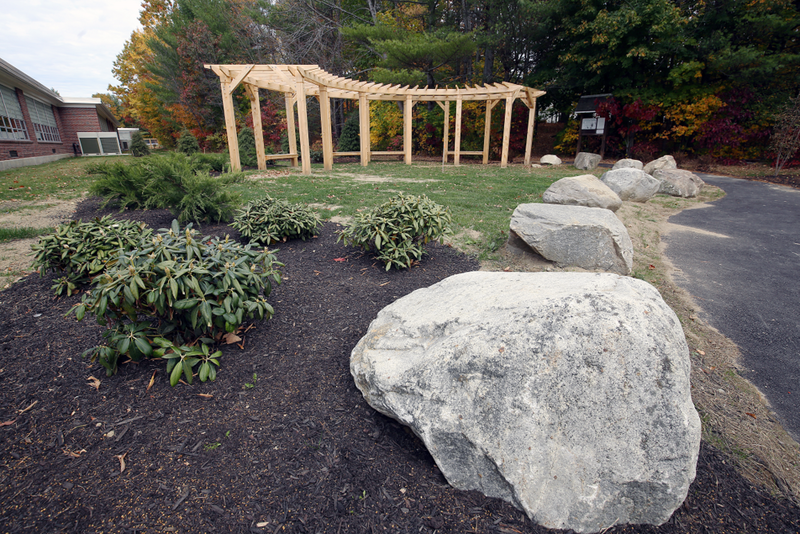 Ultimately, a source for replacement block to match the historic materials was found, and new amenities, such as a healing garden with a stone labyrinth, were added to enhance the lives of residents. Today, forty-seven ADA accessible apartments inside the original building feature modern conveniences and design elements chosen to complement the school’s mid-century design. Preservation and rehabilitation of the Hodgkins School created desperately needed affordable housing for Augusta’s seniors, and allowed a significant building on a wooded lot near the capital’s downtown to continue serving the community.